What headset lets you get away from it all? Do you suffer from distractions at work? 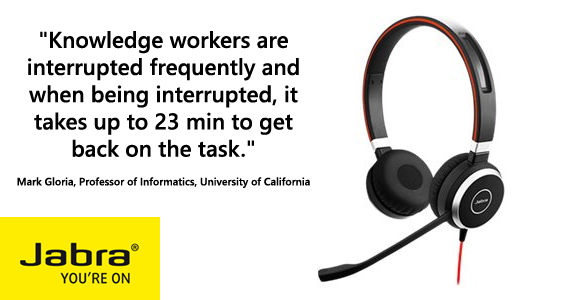 The new Jabra Evolve range will allow you to take control of your work space so that you can stay focused on the job. One of my colleagues has been trialling the Evolve 80 over the last month. His feedback is very positive. He loves the Do Not Disturb light and being able to concentrate irrespective of the chatter in the office. The rest of us find that we have to send him an instant message* or literally stand in front of him waving our arms around to attract his attention if you need him. Our verdict: The Evolve 80 is the best yet in terms of letting you create your ‘own bubble’ to improve productivity. It connects via USB to your PC and by 3.5mm plug to your mobile. It’s also one of those devices that you shouldn’t leave in the office when you go on holiday. The 3.5mm plug connects into an airline seat panel to give you a far superior inflight entertainment experience. Keep it with you at all times! 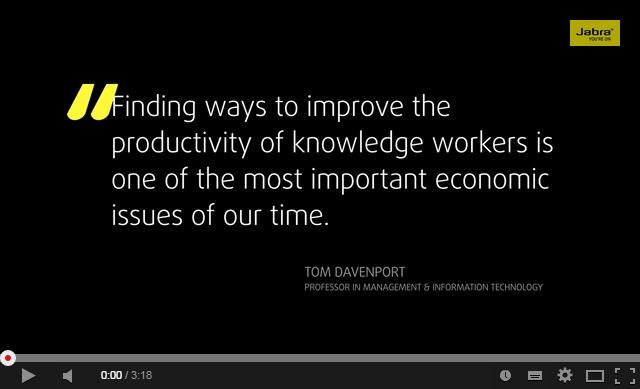 Find out how to take back your work space by watching the Youtube video below. Compare the different products within the Evolve series with the product PDF. Want to protect your space now? Lync compatible versions are available. Buy here. What’s the story behind headset repairs? Most headsets these days carry a minimum 2-year manufacturers’ warranty. When it comes to out of warranty repairs the situation is very clear. No headset manufacturer supplies headset spares or endorses any third party repair organisation. There are NO genuine headset spares available to third party repairers. Any repaired headsets will be fixed with ’second hand’ parts. This is why you will be offered ‘trade-ins’ and ‘buy backs’ by some organisations to replenish their spares supply. They re-use them and refurbish headsets with them. Were you or your staff to experience an acoustic incident with a repaired headset, you will be liable. You will have invalidated the manufacturers’ warranty. Currently Jabra is the only company offering a genuine ‘out of warranty’ repair service through their own repair centre. This service is going to cease on the 1st January 2015. If you have out of warranty headsets after that date, you will need to replace rather than repair a unit. 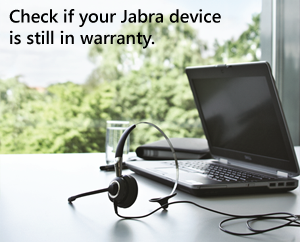 There is a quick on-line Jabra warranty checker that you can use to see whether your Jabra headset is in warranty or not. 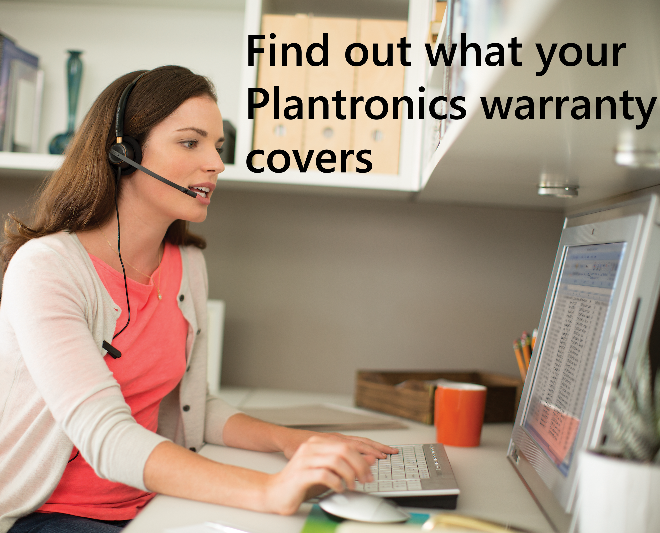 If you have a Plantronics headset, you can read up on what what your warranty covers using Plantronics helpful support guide.